Elon Musk has released the very first images of the very first Tesla Model 3 release candidate. As we reported last week, Tesla started production of release candidate Model 3 vehicles, which are cars made almost entirely on production machines in order to test both the production process and the vehicles themselves. As part of ‘Tweetstorm’ today, Musk shared a short low-resolution video of the Model 3. At first glance, there are no visible changes other than the fact that we can see the cameras for the Autopilot sensor suite. We can see the camera in the Tesla badge on the front fender and in the pillar on the side. Maybe there are some slight adjustments to the front fascia and headlights, but again, the video is very low-res and it’s hard to tell. 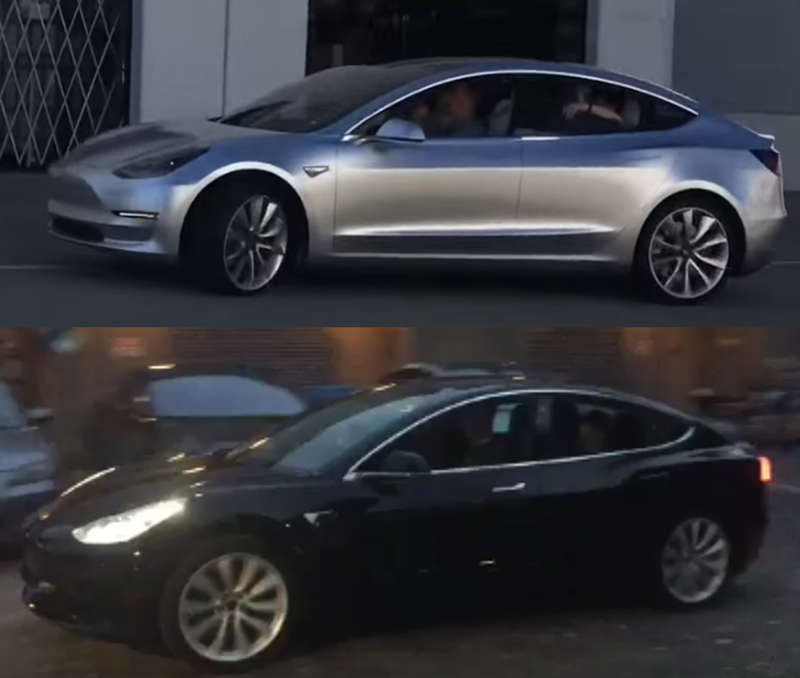 It’s the first time that we see the Model 3 in another color than silver, red, or matte black. If you can spot other changes, make sure to let us know in the comment section below. Update: When looking closer at the release candidate, there’s definitely a significant difference with the front end of the Model 3 release candidate. Tesla is likely to start testing the release candidates on public roads very soon and therefore, we are likely to soon get better images of the vehicles. hopefully sooner rather than later. If you get pictures of the Model 3, make sure to send them my way either via Twitter @FredericLambert or via email fred@9to5mac.com. If you are a Tesla owner, we can share your referral code in the credit for the images.